GIMP is the GNU Image Manipulation Program. Gimp is used to edit and manipulate images. Gimp can load and save a variety of image formats and can be used to convert between formats. Gimp features a set of drawing and painting tools such as airbrush, clone, pencil, and paint brush. Gimp also offers an extensive array of selection tools like rectangle, ellipse, fuzzy select, bezier select, intelligent scissors, and select by color. the GNU Image Manipulation Program used to edit and manipulate images. ...... scissors, and select by color. GIMP is expandable and extensible. It offers a variety of plug-ins that perform a variety of image manipulations. Examples include bumpmap, edge detect, gaussian blur, and many others. * Customizable Interface - Each task requires a different environment and GIMP allows you to customize the view and behavior the way you like it. Starting from the widget theme, allowing you to change colors, widget spacings and icon sizes to custom tool sets in the toolbox. The interface is modulized into so called docks, allowing you to stack them into tabs or keep them open in their own window. * Photo Enhancement - Numerous digital photo imperfections can be easily compensated for using GIMP. 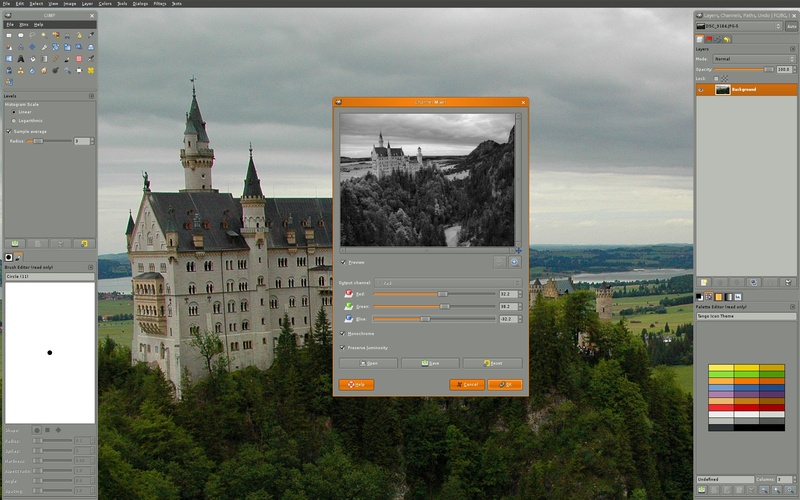 Fix perspective distortion caused by lens tilt simply choosing the corrective mode in the transform tools. Qweas is providing links to Gimp 2.8.0 as a courtesy, and makes no representations regarding Gimp or any other applications or any information related thereto. Any questions, complaints or claims regarding this application Gimp 2.8.0 must be directed to the appropriate software vendor. You may click the publisher link of Gimp on the top of this page to get more details about the vendor.